The other day I thought I’d attempt doing a 60’s Beehive hairstyle and surprisingly it turned out quite successfully! This season there is a nod to the 60’s trend throughout clothing, accessories, makeup and hair! Moschino’s Spring Collection is a great example of a runway heavily inspired by the sixties with key trends such as monochrome and bold pop’s of colour. I personally know a lot about the 60’s time period as it was my theme for my GSCE Textiles project where I made a 60’s inspired cape jacket. The beehive is one of the quintessential hairstyles of the swinging sixties where volume is created on the crown of the head through back-combing the hair and using masses of hairspray in many cases. The hugely influential style icon Audrey Hepburn was one of first to showcase this hairstyle and it is now seen as to be one of her trademarks! Many celebrities from the current day have additionally utilised the beehive style but have often put their own personal swing on it. These celebrities include Beyonce, Alexa Chung and Zooey Deschanel. 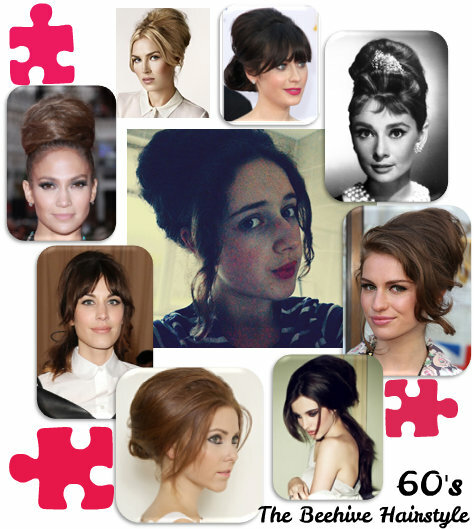 I hope you like my attempt of this fabulous 60’s hairstyle and there is a picture of it in the centre of the collage with lots of pictures surrounding it! Enjoy! Adoring this look from New York fashion week!! 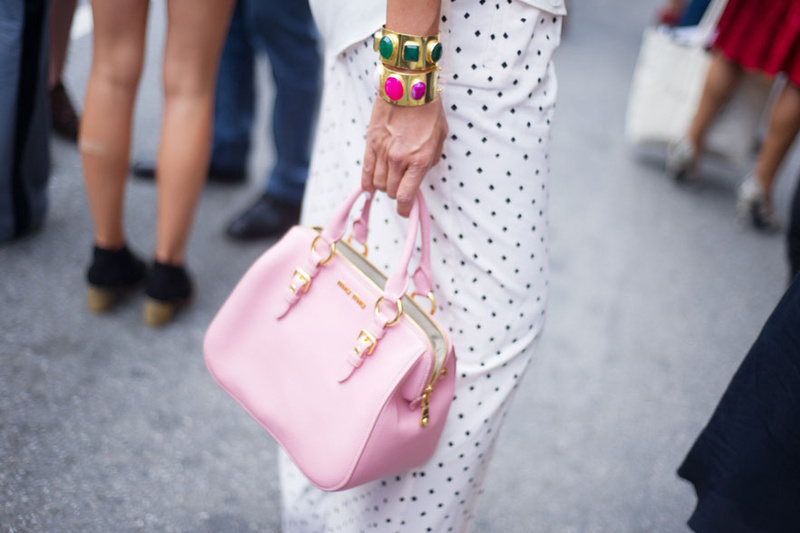 The combination of this bubblegum pink bag, monochrome small dotted maxi skirt and chunky gold green and pink jemed cuffs is a dream made up above!! Just a quick Image of the day- Hope you enjoy!! p.s. apologies for lack of posts this week school work has been consuming me!! Marion Cotillard looks wonderful in this Christian Dior Haute Couture Dress!! She is posing at the London Premiere for The Dark Knight Rises!! The dress is strapless at the top in this wonderful orange pattern and then goes into a midi monochrome patterned skirt!! The dress fits her like a dream and she finishes off the look with red shoes, accesories and lipstick of course!! Enjoy!! 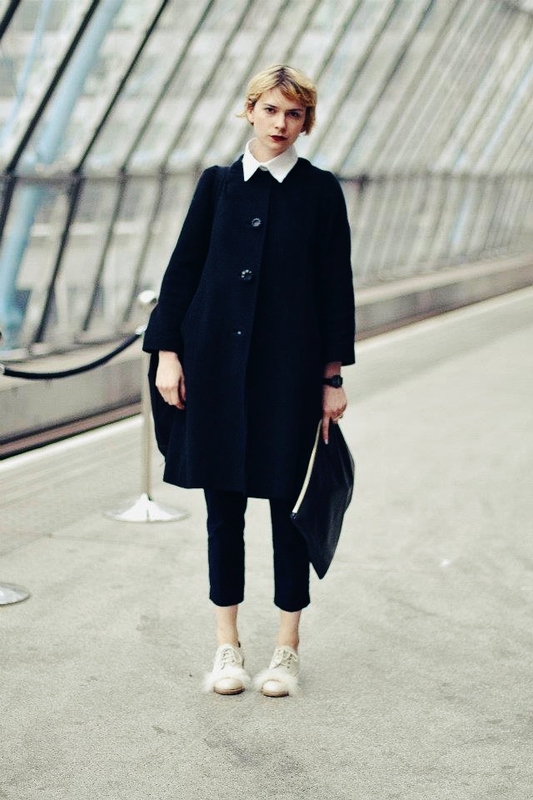 This monochrome oversized coat is an absolute classic and stunning piece. 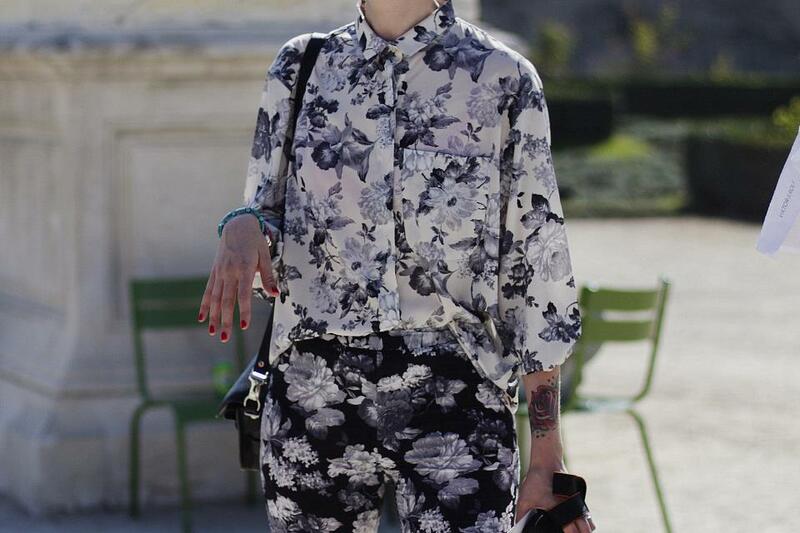 I am loving this girls style and the way that 1 item of clothing can make such a statement. I’m not really a black liking girl myself as its not my colour but I would definately consider buying a beauty like this with the white collar as if really balances out the black and stands its ground!! I love how she has styles this outfit aswell with an huge patent purply clutch, cropped black skinny jeans and these gorgeous cream brogues with a strip of fluff through the middle. This look is very smart and classy but to modernise it slightly I would maybe add colour pop accessories or something patterned to add a little more interest to the outfit. But overall I adore this classic oversized Coat Look! !